How to choose the right birthstone? There are two ways how to choose a birthstone: you can choose the birthstone according to the month in which you were born, or choose the birthstone by your zodiac sign. Unfortunately, there is no simple way how to choose the right one. You will find a wide range of birthstone charts, that contain long lists of birthstones for each month or sign. How is this possible? Because there are many historical sources (Eastern, Western, Arab, etc.) that are not identical. As a starting point you can use two birthstones charts below, where I compare several credible sources. You should act intuitively when choosing the right birthstone. Thus, no stone is innate to any human in contrast to the color of eyes or shape of the face. 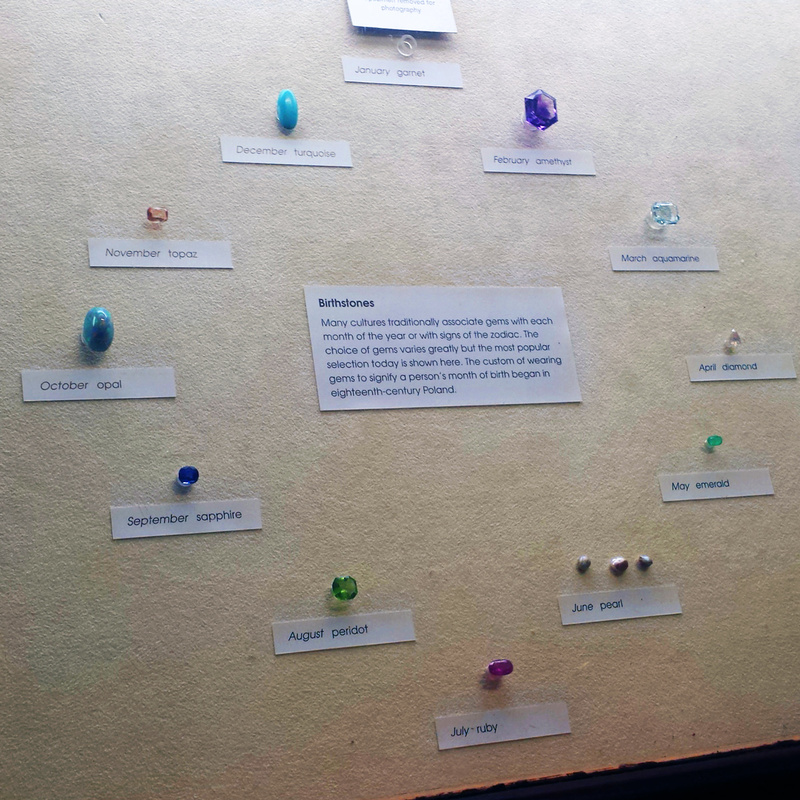 So you can choose the birthstone freely. Proper birthstone must be convenient for you – you should feel comfortable when you hold such stone in your hand or wear it as jewelry. The color of your birthstone should reflect your character. How are stones related with the zodiac signs? People have always sought magic means, which would help protect or heal. This role was performed by precious stones (besides amulets and talismans). Stones are connecting us with the whole universe and surrounding planets from it's physical nature. Stones represent something solid and very varied at the same time, what can "materialize the sky" on our Earth. The Christianity tried to suppress traditions from Mesopotamia to Rome, where different skills were assigned to the stones. It came with a thesis of twelve precious stones known as the “Foundation Stones of the New Jerusalem”. As previously stones were attributed to gods or planets in Christianity a new connection with the twelve apostles was established. During the Renaissance, when alchemy and the search for hidden or symbolic contexts came into fashion, people began again to seek out the right stones for zodiac signs – the Birthstones. It it significant, that color was primarily important in different traditions of symbolic use of birthstones. Typically, cheaper stones were substituted for the more expensive ones on the basis of color. Only few people buy a real diamond, but similar quartz can afford almost everyone. The color or hardness is a crucial feature reflected also in the names of stones such as: Aquamarine (from the Latin aqua marina, “sea water”), Ruby (from the Latin ruber, “red”), Diamond (from the Greek adamas, “unbreakable”), Hematite (from the Greek haima, “blood”), etc. Whether you choose any stone, it never might be the final one. There were earlier recommendations to keep twelve stones and wear the different one every month. So, you can definitely buy another birthstone, if your pace of life, mood or aesthetic feeling will change in a few years. As the saying goes “measure twice and cut once” – if you want to be sure, do not buy on the Internet and go to a real store to look closer on your selected birthstone. It can be love at first sight, but maybe you will discover a hidden favorite, which you would miss on the Internet. I bought once the hematite, because I like it's dark impenetrability and shine. Many years later I bought a pendant from red coral, at which his motivating color lured me. But I have not acquired "the right birthstone" yet and this was moreover my motivation for writing this article. I think it will change soon. I wish you good luck when choosing the right birthstone or the birthstones jewelry. National Association of Goldsmiths, N.A.G. Birthstones by Month in Czech (Kameny podle znamení).